Hub Kits come complete in their own handy storage box, ready to install on your axle. Simply remove your old hub and replace with this pre assembled and pre greased hub. Comes with dust cap, cotter pin and lug bolts. 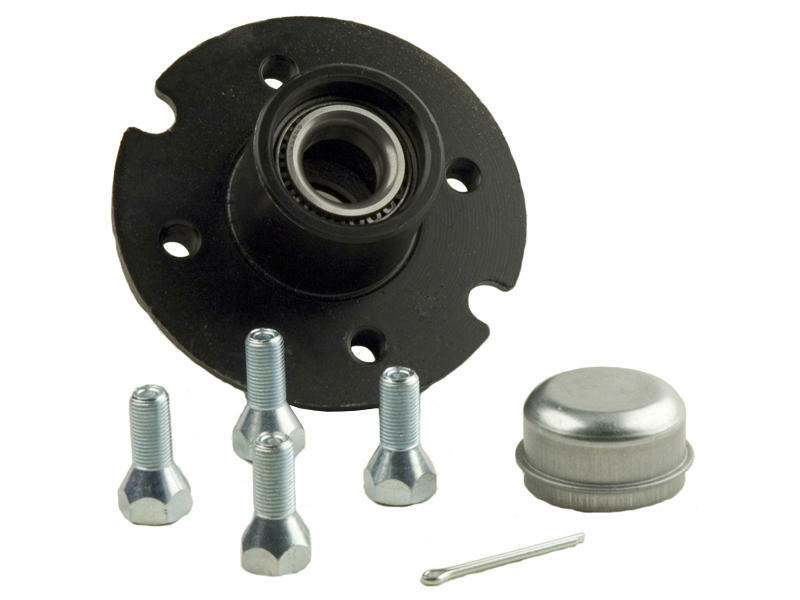 This kit features a tapped hub with a 4 x 4 bolt circle to fit a 1" straight spindle with a maximum tire size of 12".